The objective was to use an existing product ($2 Scratchers) to increase the Oklahoma Lottery Mobile Club. 7 Media Group’s services for the OK Lottery Mobile Money Scratchers campaign were utilized to promote growth of the Mobile Club by those who purchased the Scratchers. Oklahoma Lottery Scratchers tickets were printed and sold in established venues. Purchasers were instructed to “Text LOTTOMM to 55678.” A message was sent back with details to reply with the 12-digit number for a second chance to win. 970,000 Scratchers tickets were printed, and radio advertising was used to help push the sale of the Mobile Money Scratchers. The mobile campaign produced significant growth in the Mobile Club. There were over 39,000 texts received during the campaign from nearly 14,000 unique phone numbers. Most importantly, the Mobile Club grew by over 10,500 new members. The Oklahoma Lottery used the services of 7 Media Group to offer Scratcher ticket holders the opportunity to win a sizable prize through a second chance drawing, using a double bounce back. 76% of the unique numbers that responded became new Mobile Club members. 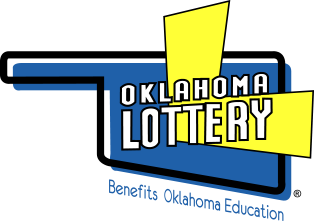 The increased membership gave the Oklahoma Lottery an expanded base of users for future sales. 7 Media Group offers a robust platform that can accommodate virtually any SMS campaign requirement and over a decade of interactive media experience. Our system is a full opt-in/opt-out format to easily provide two-way communication between you and your audience. We can help you create a mobile alert loyalty club so you can better communicate with your customers.